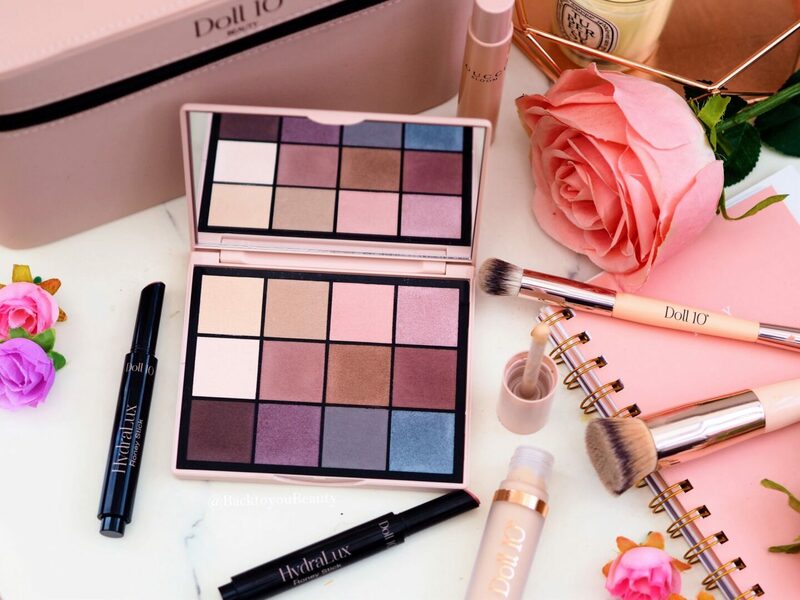 Doll 10 Beauty are launching new make up products for all ages and skin types, including an exciting new Eyeshadow Palette and i am so excited. 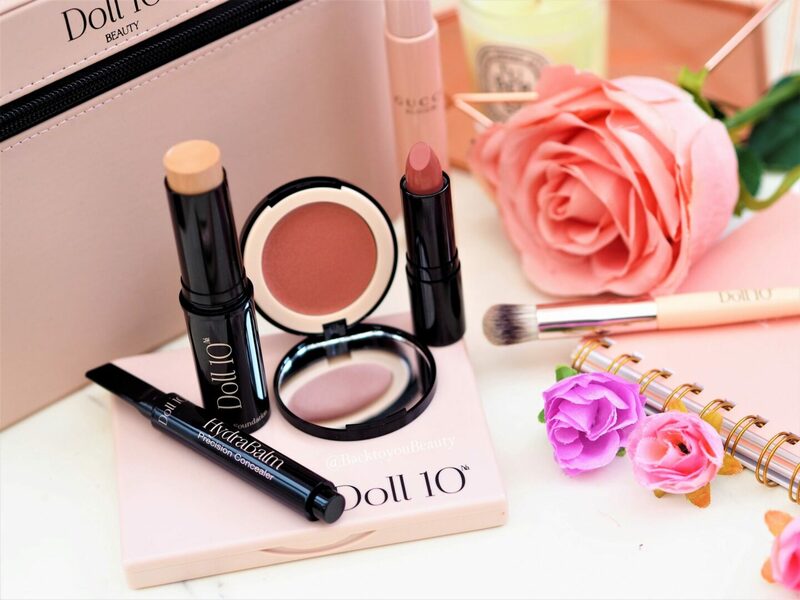 OG readers of Back To You Beauty will know that Doll 10 Beauty is one of my favourite make up brands. 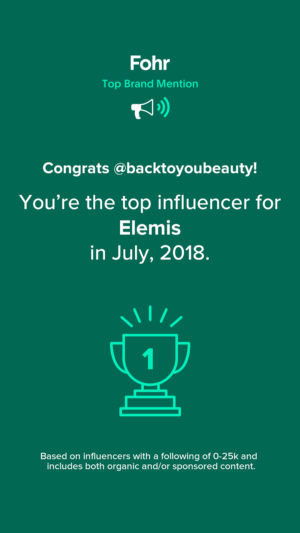 It is a brand I have been wearing and sharing for at least 7 years, because it works wonders on mature skin, yet is still a brand that anyone in their 20’s will want to borrow. Exclusive to QVCUK here, there some exciting shows coming up on 3rd February, showcasing some new products and some much loved and back in stock products. 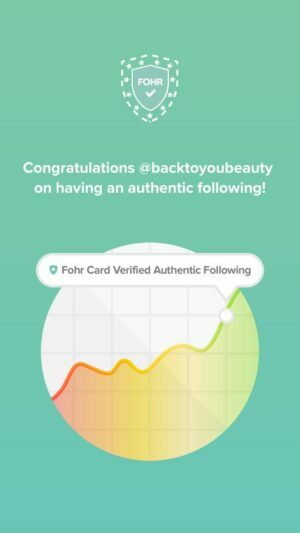 This cruelty free brand uses unique technologies to create make up that feels like skincare, is good for your skin and has the ability to get you “Dolled up in ten minutes or less” and if you are as busy as I am, that is a good thing. To find about more about the brand and creator Doris Dalton go HERE. Launched late last year, this concealer has proved to be a huge hit with make up lovers. I have been using this for months now I must say that this is one pigmented concealer. Nicknamed “A cup of coffee for your under-eyes” this unique formula containing Vitamin E, Aloe and Passionflower, offers comfort and brightness to the undereye area. Now, if you like Tartes Shape Tape, you will adore this, however if you don’t, then you wont. Similar in texture and idea, in my opinion, Hydralux concealer has that type of coverage when you apply it. 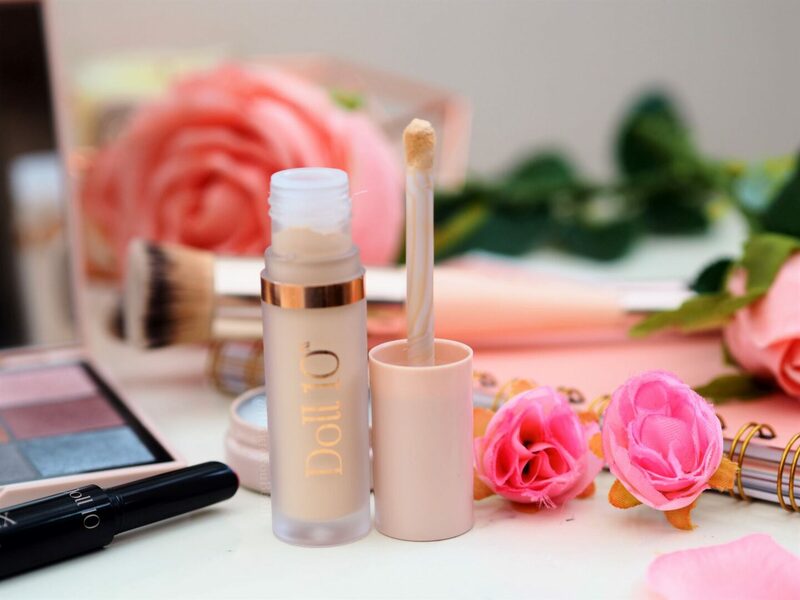 Whilst there is no denying this is a full coverage concealer, I am find that sometimes on my under-eyes – which are very de-hydrated, I see some creasing. 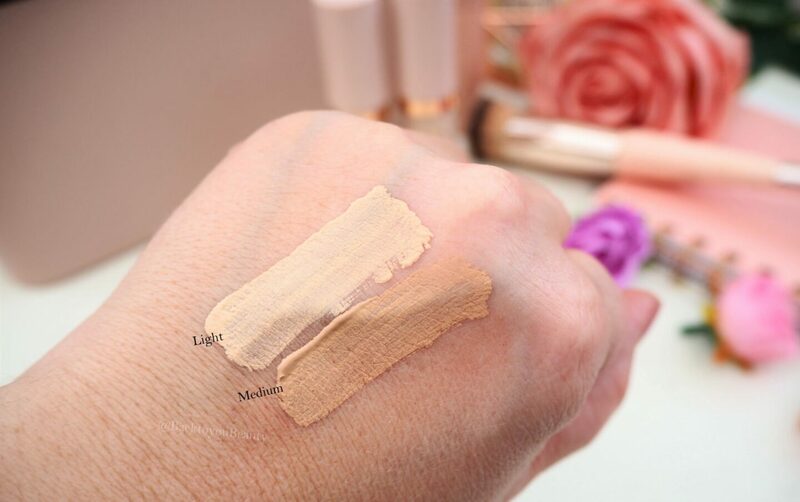 I do prefer the creamy texture of the Hydragel original concealer however, I use this more when I am doing an evening make up look and from afar and in photos it always looks flawless. These are a brand new product for me! Can you believe that, haha and I really like them. These are so, super full coverage and yet glide on like silk and literally hydrate the lips the whole time you wear them. The formula is wonderful. The packaging is the same as their Hydrabalm Concealer, with that click system, which can be a little confusing when you have them both in your make up bag, but that’s something I can over look. 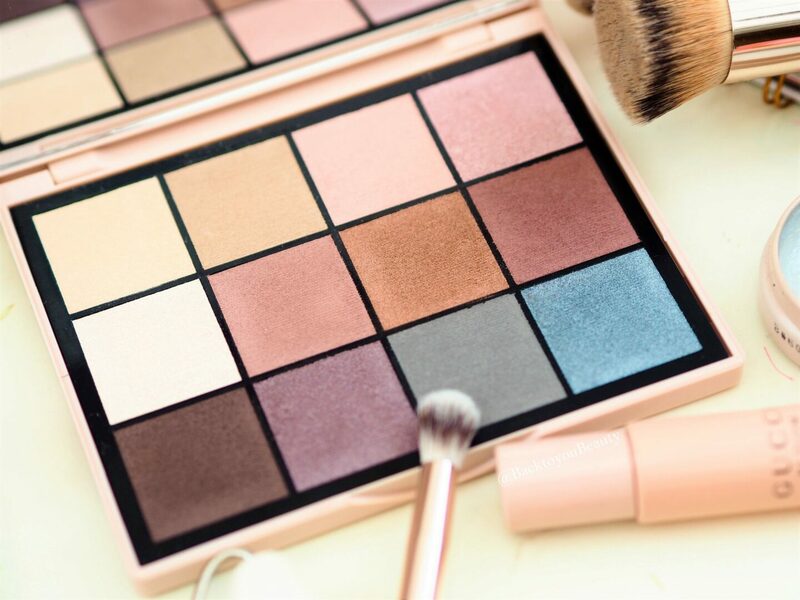 If you are a fan of Doll 10 eyeshadows and already have all the other palettes, you need to add this to your collection. Pro Shadow 1 was a great selection of mainly mattes, Pro Shadow 2 was your perfect day to night warm, toasty shadows and this new Pro Shadow 3 palette is a great collection of Mattes and Shimmers in 12 beautiful cool and warm tones. 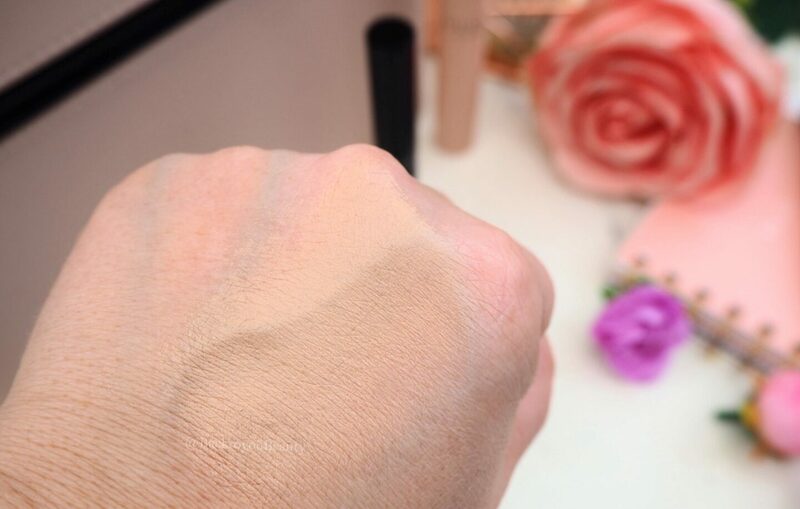 The cream to powder formula makes this super bendable with no fallout and whilst the shadows can look a little muted in the palette, they are deeply pigmented and long lasting on the eyes. 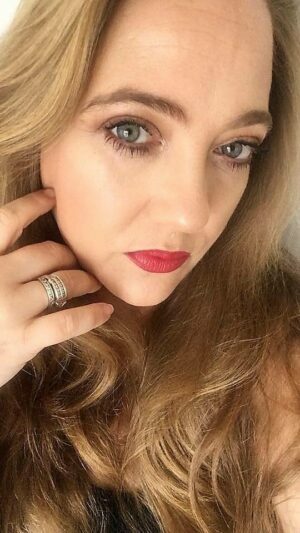 My favourites shades are Quartz – which is a beautiful pink shimmer that looks gorgeous in the centre of the lid and Big City and Blue Grey Shimmer. I did notice that the shade names seemed to be the wrong way round on the back of my palette which is a little confusing, but if names don’t matter to you then it’s no worry. Just like the Master Palette these shadows are also infused with precious gemstones which adds to their bendability and pigment. For the price, this palette is un-beatable. Great sized compact with perfect for mirror inside the lid for ease of use when traveling. This collection contains 4 key pieces that are great additions to your make up collection and one of my all time, top 5 foundations! 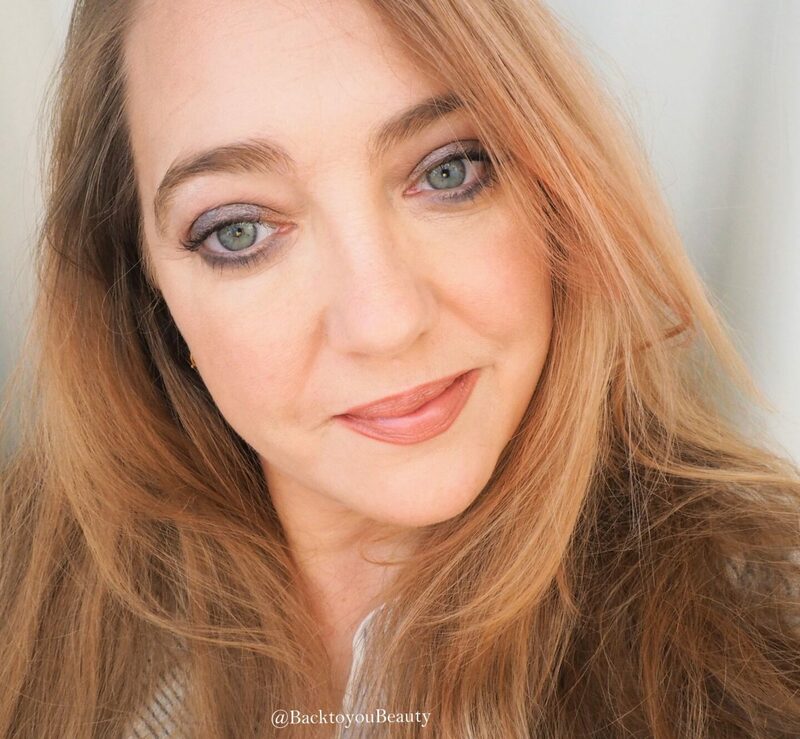 Included is the HydraBalm Stick foundation which, if you follow me on Instagram HERE, I use all the time when I want a fast, flawless make up look. This foundation offers the most exceptional, non drying, full coverage look in literally minutes. A few swipes of this infusion of skincare and colour over the face, blended with a brush gives a lovely, almost dewy coverage that compliments my dehydrated, mature skin. This is my “busy-mum-on-the-run” must have. 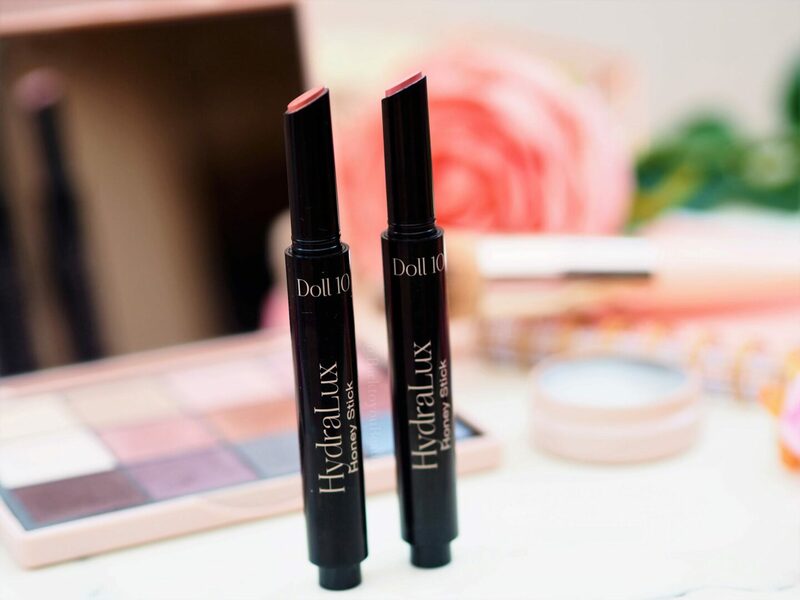 Hydrabalm Precision Concealer is also included and this has become a firm favourite of mine for the under eyes, due to the shape and the creamy consistency. It actually took over 300 hundred chemists to create this product for Doll 10 and it works. It covers, it conceals and it lifts the complexion. This is a portable, pen, clicker system which has a precision tip, which is a triangular shape making it great for around the nose, under the eye and inner corner. 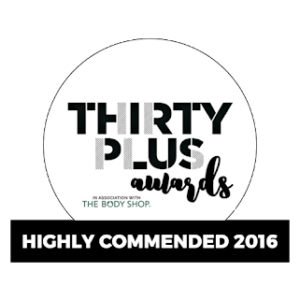 It has a balm texture, meaning it is super light, and smoothes onto the skin easily. 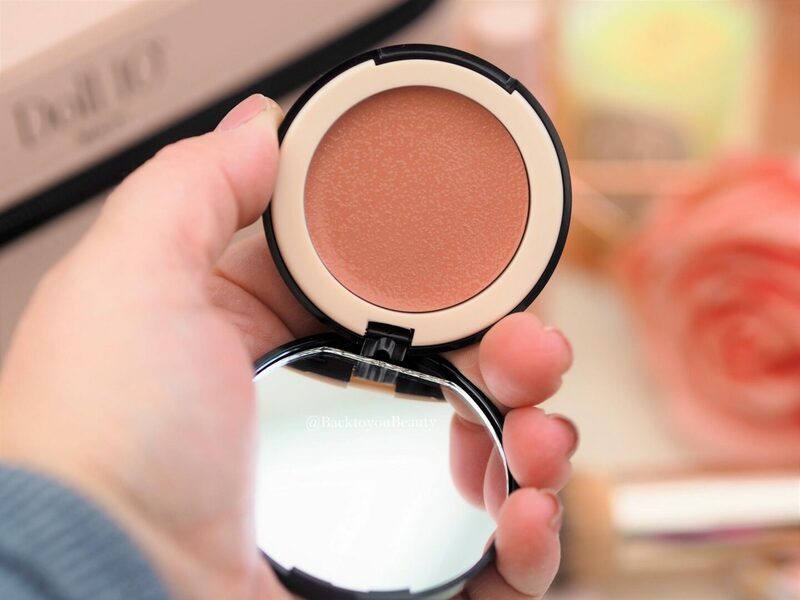 It has incredible coverage on under eye circles, redness or blemishes, and leaves a beautifully lit look to the skin too. I am obsessed with this product because it melts into my skin and looks so natural. Available in shades Fair, Light, Medium, Tan and Deep. 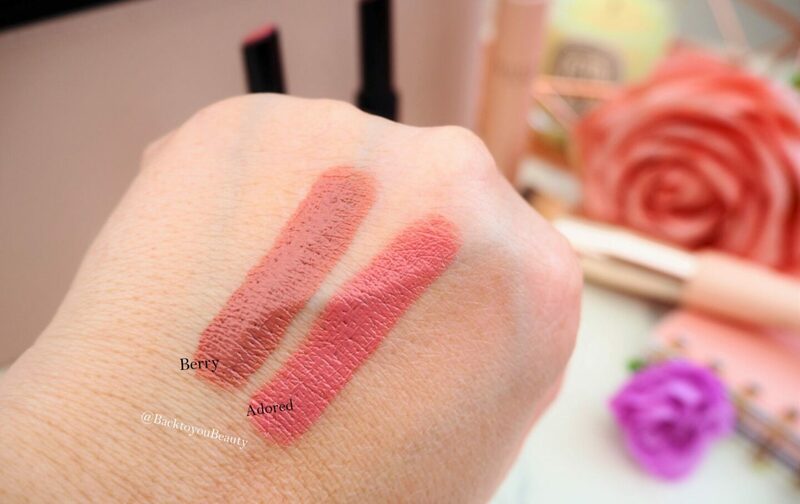 To round this collection off you also get a very pretty Hydragel Cream Blush in the shade Beautify which is a natural Peachy shade and a Lip Rouge Lipstick in a dusty pink shade called Lady Like. 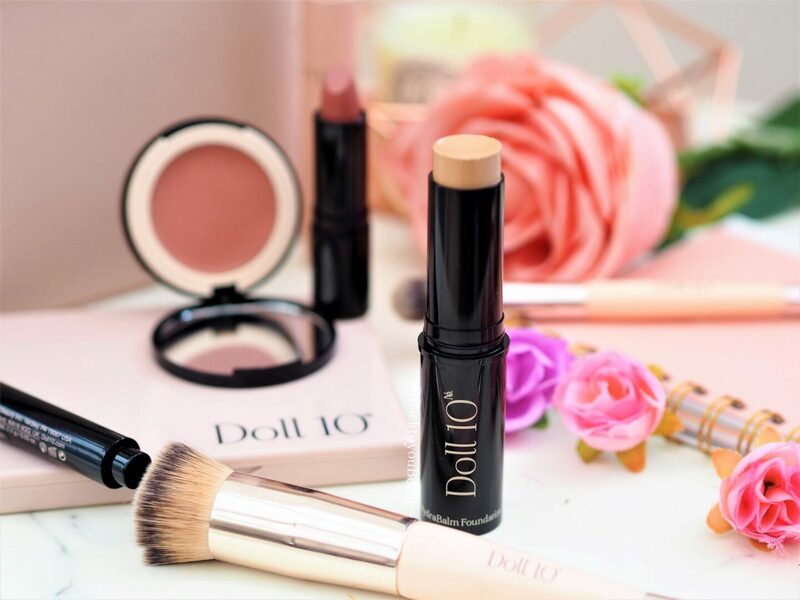 Its great to see some new collections and product launches for the beginning of 2019 and knowing Doll 10 like I do, these will not be the last. Have you tried the brand yet? I have many posts about the brand so feel free to go HERE and HERE to find out more. I hope you have enjoyed this post, please leave me a comment below. The eye shadows look gorgeous, I haven’t used this brand before but I’ll consider it now! Love Doll 10 Sharon. Especially the lipsticks which are my weakness lol. Agree with you about the concealer, great coverage though. Looking forward to the shows. The lipsticks are stunning! 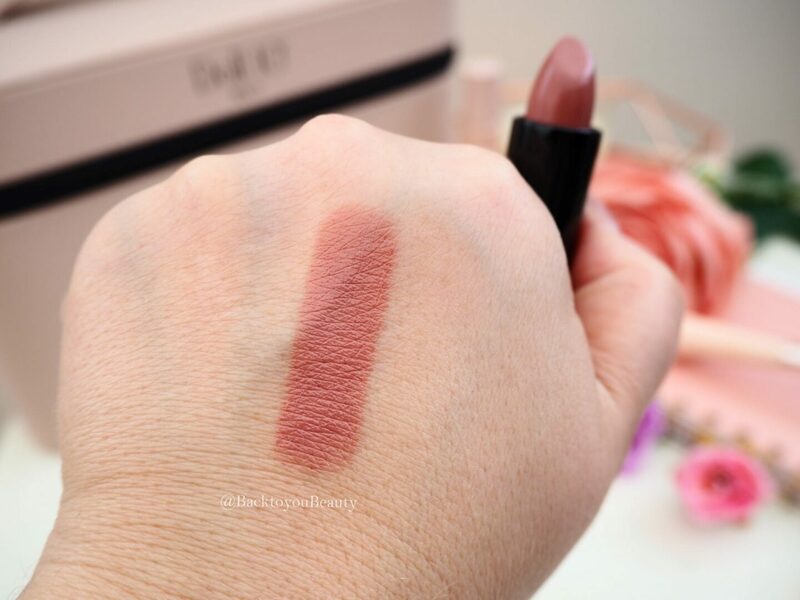 SUCH a beautiful formula and shades, right up my street!